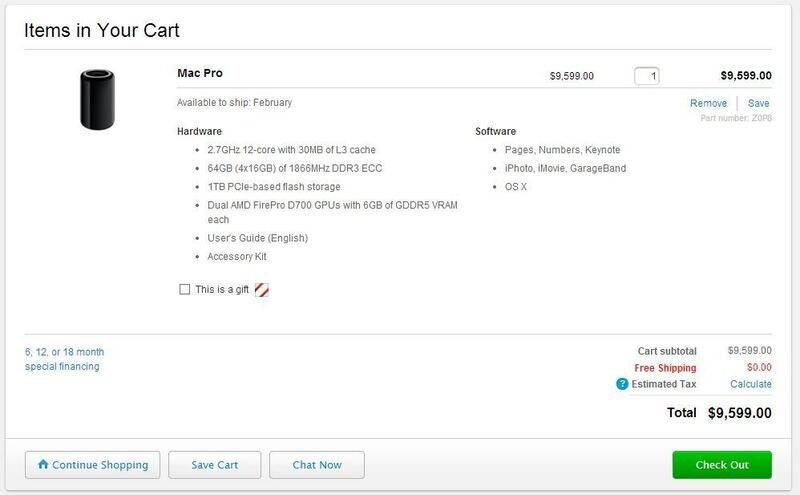 After perusing the shopping cart, we came up with a configuration that tops out at $9,599 which includes 64GBs of ECC DDR3 memory, a 1TB PCIe SSD, two AMD D700 (W9000) GPUs, and a twelve core Intel Xeon 2.7GHz processor. OS X is of course the default operating system. While there is nothing really remarkable about this list of parts, it's the way that they are integrated that provides both pros and cons. On the pro side, you have all this workstation grade hardware in a cylinder that is less than 10 inches tall and under 7 inches wide, with the power supply inside. This makes it very easy to take it on site or pack with you. So if you are in need of more power, it doesn't come with the traditional drawbacks of a large tower like the original Mac Pros. But on the list of cons is the fact that you pretty much have to purchase the system configured the way you plan to use it for its lifetime. This is because of the proprietary nature of the primary components which even include the GPUs and possibly the CPU (which looks like it is soldered in or "decapped" like the previous gen). The only things that might see upgrades in the future would possibly be the memory. The SSD is unknown because it is also internalized, although it is a PCIe part with performance to match, using a four channel interface. Additional storage options are all taken care of externally via Thunderbolt, which may add significant upgrade costs as the enclosures and cables are both expensive and limited in selection. With most hardware interface cards on the market built for the original Mac Pro becoming incompatible with the latest revision, users hoping to upgrade to current hardware will have a tough time finding their equivalents at all, or at reasonable prices with a Thunderbolt plug. Plus, you're now plugging in various boxes instead of having one single tower with everything securely inside, which may/may not be desirable. 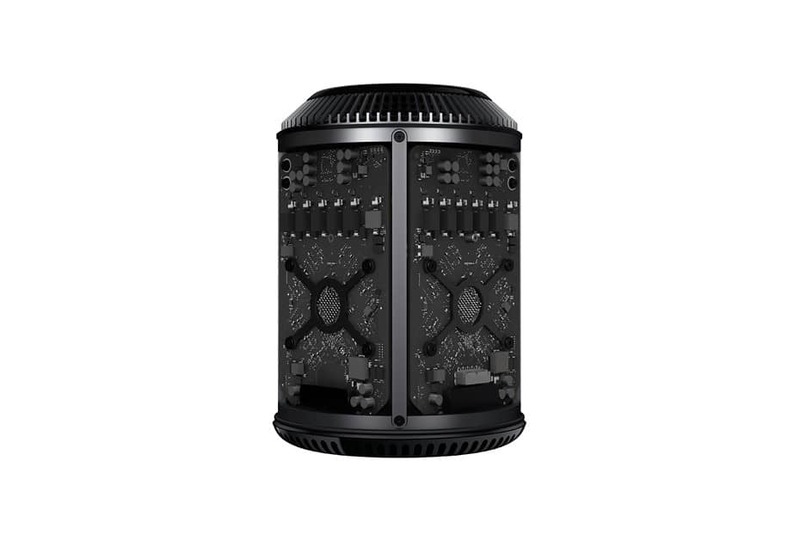 In terms of maintenance, the Mac Pro does seem to take advantage of positive air pressure, which pushes more air into the cylinder than it can expel, making dust less of an issue. And only time will tell if this thermal solution will be adequate for long term use. But we suspect that only real issue would come from two workstation GPUs fully loaded. For our challenge, we're going to try to match the new Mac Pro's parts spec, while trying to make it as small as we can with off the shelf components. Let's see how close we can get (and how much we can save) by creating an equivalent Windows version.